March | 2012 | Sometimes I ramble. I remember the moment vividly. We were on vacation in Hawaii, having the tranquil sort of time that only such a trip allows, when I decided that it was finally time to broach the subject. I was uncharacteristically nervous, in no small part because I knew that we still had a few days left on this small little island — just the two of us — and I wasn’t quite ready for our tranquility to come to an end. I’d lead with concern. Concern seemed like the appropriate tone. It wasn’t accusatory or necessarily alarmist, and somehow, I thought, it left room for conversation. Maybe I was wrong. Maybe she’d have a brilliant explanation and I’d discover that, while my concern had been well received, it was completely unfounded. I’d hope for that. My deeply entrenched denial would certainly be hoping for that. So, the conversation. I was concerned about the sheer number of prescriptions floating around our home and the variety of doctors willingly prescribing them, as if they were handing out extra handfuls of Halloween candy to eager kids in costume. Sure, she’d been through a series of medical turmoils, but I wondered if the volume of medications might now be making matters worse. I’d mention that I was simply worried that her doctors weren’t coordinating their efforts. I had specific misgivings about the pain medications, too, I’d point out, and their inherently addictive nature. I knew of her past struggles with substances, addictions, and all of the related hells — none of it was any secret, really, although we’d managed to cleverly file it all away as some sort of misguided teenage angst — so surely it was something that we should maybe discuss. You know, casually. Tranquil like. See, it wasn’t that our lives had become what many would consider unmanageable. (Admitting “unmanageability” is one of the hallmark first steps of any 12-step program, for those not yet indoctrinated.) 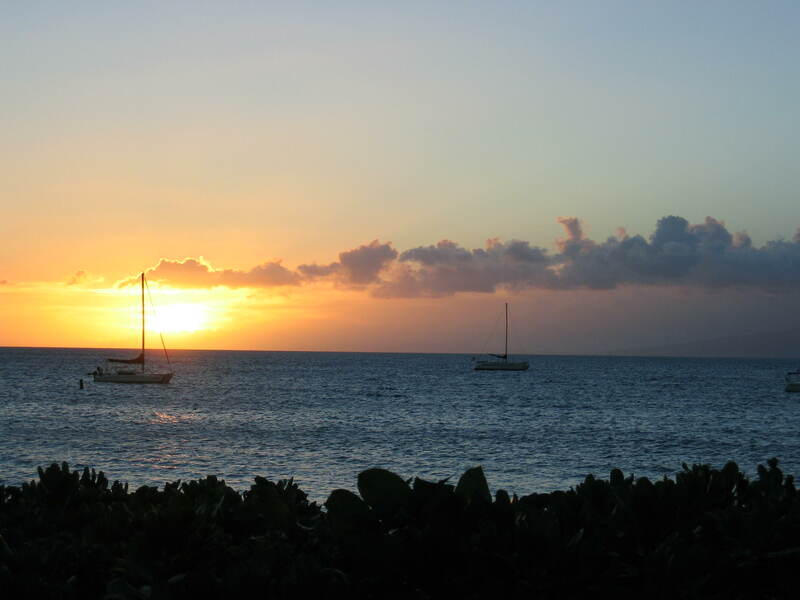 We were enjoying a beautiful sunset on the beach in Maui, after all. Unmanageability should always look so good. Then again, I also knew that we were fortunate enough to be pretty well insulated from the bumps and bruises that might readily befall someone else in this same situation. And yet, we were also both cognizant of those undeniable moments of quiet emotional chaos in our lives, although we’d rarely speak of them. We’d become accustomed to sweeping them under the rug and excusing them in some sort of vague fashion, even going so far as to refer to them as part of our relationship’s charm. But the cracks were beginning to show, especially in just the right light, and I was worried that if they weren’t addressed soon, they could become irreparable. The difficult truth is that the weeks and months that would follow that subdued sunset conversation didn’t fortify those relationship cracks, as I hoped and assumed they would. Instead, that time was like a sledgehammer, full of unrelenting demolition, shattering it all wide open and exposing the ruination that had been hiding just below the surface. It was, for me, a bottomless dark hole that continued to reveal itself with each new day. There were many times during those couple years when I would have given anything to go back to that night on the island, full of its sailboats and sunsets, and instead, choose to say nothing of my silly concerns. We could have lived a fine life with a few cracks here and there, right? Even now, I’m not sure why I picked that trip, much less that seemingly perfect night, to start us on a journey that would then dominate our lives in ways that were previously unimaginable to either of us. Perhaps there was something safe — something denial-friendly — about having that sort of conversation a few thousand miles away from home. Maybe I thought we could board a plane and, when the time came, just leave the uncertainty behind. What I know now is that cracks like those aren’t something you simply repair. Unfortunately, there’s no Elmer’s easy-fix project to solidify a fractured life — or relationship — that’s been ravaged by the very real perils of addiction, no matter how “manageable” it may seem to casual passersby. The destruction is somehow necessary. Without it, there can be no rebuilding. Sometimes still, when I see a particularly beautiful sunset, I think of that night and the “me” that was before all of this. It feels more like a distant relative than a version of myself separated only by a few years of (hard fought) life experience. I wonder what advice would have made a difference to the then-me, what I could have heard or would have accepted that might have prepared me for what was about to come. I think about this whenever people, who find themselves standing on that same brink, ask me for advice. Do I tell them that it’s going to get worse before it gets better, that their lives are about to be shattered into a thousand little pieces, or that they will be faced with the prospect of reexamining everything they thought they knew to be true? Or, maybe I’ll just tell them to take a moment — just one more fleeting moment — and enjoy the sunset.